Whether you make it sweet, savory or salty, plain or pumped up, you’ll join your fellow Americans in consuming some 13 billion quarts this year.The average American eats about 42 quarts. Why do we love popcorn? How can we not? Popcorn is the fun food we eat when we’re happy. It’s the science experiment food kids are entertained and educated by as it miraculously changes from kernel to fluff in an instant, hard to soft, non-edible to edible. It’s the simple pleasures food that reminds us to slow down. And it’s an economical food costing mere pennies per serving. Popcorn also is a whole grain, which makes it a good-for-you food. As a whole grain, popcorn provides carbohydrates and fiber to the diet and is naturally low in fat and calories. That’s good news for your waistline. It’s an ideal in-between meals snack because it satisfies, but doesn’t spoil your appetite.Enjoying one serving of popcorn will provide 70% of an individual’s recommended daily intake of whole grain. Popcorn is a wholesome, fun food which aids digestion by providing necessary roughage, also known as fiber. 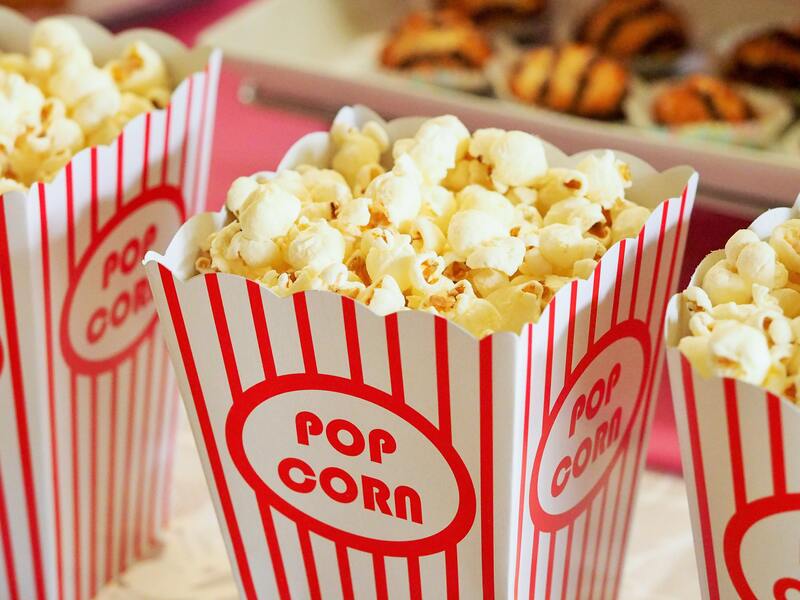 Health and medical associations regard popcorn as an excellent mealtime complement--sugar-free, fat-free and low in calories.Since it does not impact blood sugar levels, popcorn is a good snack for diabetics. The National Cancer Institute (NCI), the federal government's cancer prevention agency, suggests fiber in the diet to reduce the risk of some forms of cancer. Popcorn is all-around "good" food-healthy, economical, and tasty. While popcorn is a healthful and delicious snacking choice when prepared with low-fat ingredients, it is never recommended for infants or toddlers, as the kernels pose a (choking) threat to their safety.